What teams are for real, and what teams are not? What players are for real, and what players are not? That will the subject of this entry. I don’t like making pre-season predictions because I really don’t watch teams in Spring Training, and how is Spring Training reflective of anything, anyway? I like to get a week in, before I can make any semi-good judgements. We start the first week of the season with Mark Reynolds leading the league in homers and rbi’s. A great prospect last season, he came into 2008 a little under the radar. He did have a solid season last year and he was a pretty big part of the Diamondbacks NLCS run. 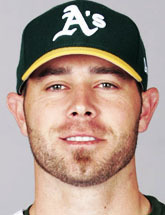 Will this guy lead the league in homers/rbis all year? Definately not, but he is for real. A solid player and huge fantasy aqusition. If you have him? 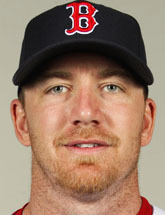 He will probably hit 35-40 homers this season and drive in 110 rbi. The Diamondbacks, now with Upton, Young, Reynolds, the ODOG (one of my favorites in Toronto, a little inconsistant at the plate however) and a great pitching staff featuring Webb, Haren and Owings (who will all have solid fantasy seasons) are definately my favorite to take the West and go to the World Series. The Rockies were a late season wonder last year and I don’t see them getting that hot again. 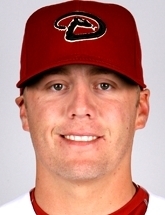 With a staff and a lineup like that, the D-Backs will easily be able to fend off the Padres and the Dodgers, even with their bullpen (they may have to do something about that at the trade deadline). The Diamondbacks are my favorite in the NL, but in that league, a lot can happen. The Rockies last season were definately evidence of that. I see a Diamondbacks versus the Mets/Phillies/Braves, whoever wins that battle in the 2008 NLCS. The NL: Watch for big seasons from Mets pitching (i.e. Santana, Oliver Perez), Diamondback hitters (i.e. Reynolds, Upton, Young) NL Fantasy Sleepers: Yunel Escobar and Jorge Cantu could have unexpected solid numbers this season. Unusal start in the AL. The Orioles, Athletics and Royals are in first place in their respected divisions. You might as well reverse Triple A with MLB, if these teams end up making it to playoffs, lol. None of them are for real, although one or two of them may be in the wild card hunt. Oakland will be there if they get a healthy Rich Harden back. Early injuries to Lackey and Escobar, in Anaheim, might propel them or Seattle to win the AL West. I still like the Tigers in the central, although it will be a very close race between at least 3 teams in that division. The Tigers will be lead by Curtis Granderson having a huge run producing season. Look for the Tigers to really make a post All-Star break statement. The Tigers don’t, however, have the pitching to guide that far in the playoffs. Look for large ERAs, but high amount of wins out of all pitchers on that team. Other than them, look for the White Sox to try and prove themselves this season (they have solid veterns like Dye, Thome, Cabrera, Crede). I see the AL east as being a close race all season between probably 4 teams. Towards the end of the season, Beckett, Daisuke and Wakefield will turn it on. There is no stopping the Red Sox in a playoff run. They are just too darn strong and deep! My favorite, in the AL, is still the Red Sox. Down the stretch they will be tough, and in late innings, they will shut teams down with ease (very important!). 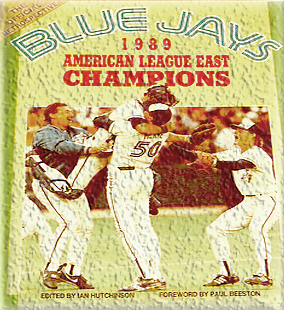 I don’t think another team can ‘hold a candle’ to them in the AL. Look for unexpected big things from either Coco Crisp or Jacoby Ellsbury, and J.D. Drew. Nice surprises to an already potent set of All-Stars. Ellsbury will be good even though he has had a rough start batting .176. We all know what Crisp can be cabable of, so even if Ellsbury needs some more time in the minors the Red Sox will still be deep there. 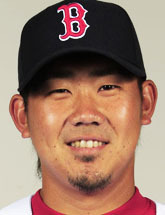 The AL: Big year in strikeouts and ERA for Daisuke, he will compete for Cy Young. Beckett falls off a bit, but not much. 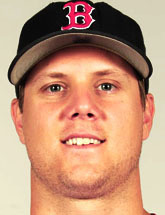 Papelbon leads the league in saves and ERA for a closer. Another big year for Upton and Pena (won’t have a high average, however) from Tampa. Some very good pitching production from guys on Tampa (i.e. Sheilds and Jackson). 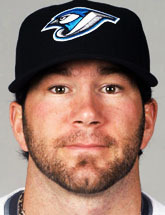 AL Fantasy Sleepers: Shaun Marcum from the Jays will be solid (better than McGowan), same with Aaron Hill. Curtis Granderson, Jermaine Dye and Bobby Crosby will all have career years, this season. Crosby is a great player that has not really had the season that he is capable of, he will eke out a lot of hits this season. 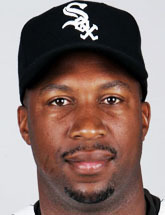 Jermaine Dye will replicate his 2006 season, this 2008 season. World Series 2008: Red Sox versus Diamondbacks. 7 games. Diamondbacks win it all.